Japanese Christmas cakes are sponge cakes covered with whipped cream and filled with strawberries. They are good. A few years back, Pepsi released a white Pepsi, but this latest one is cake flavored. According to the drink’s official release, Pepsi Christmas Cola was created in the image of Japanese holiday cake. There’s a sweet and tart strawberry aroma in a white cola, evoking the creamy holiday sweets. 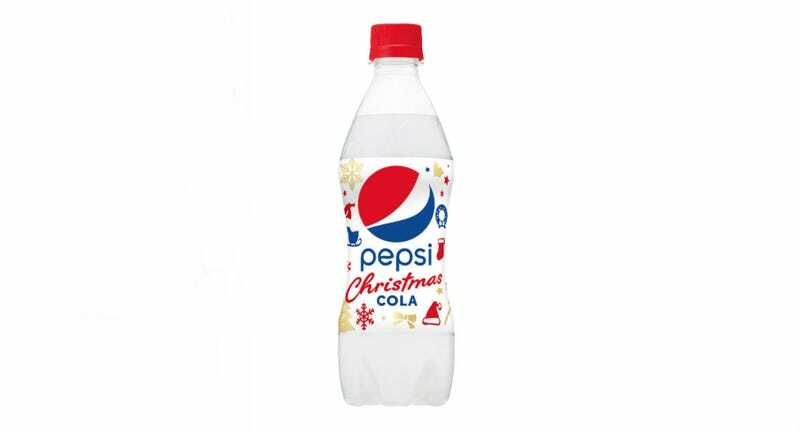 Pepsi Christmas Cola goes on sale November 21 in Japan. It’s the latest in a long list of Japan-exclusive Pepsi releases.